Oil changes are one of those things that you have to do regularly to keep your car in tip-top shape. They can’t be avoided, and they should happen like clockwork. However, when you have a trusted resource from which to get your regular oil and lube change, like Bimmers Only in Dallas TX, you know it will go fast and won’t break the bank. Call us first or just drop in. We’re happy to get you in and out as quickly as possible. We know you’re busy and can’t always stop for very long while juggling school, work and the kids. How Often for an Oil Change? You already know BMWs are a special type of vehicle, and don’t follow the same rules as other types of cars when it comes to oil changes. Don’t take your BMW to just any drive-though lube and filter service. Your car takes a specific kind of oil. While it’s a regular service, you don’t have to get it done quite as often as other cars do. It’s recommended you get intermediate oil service once every 7,500 miles using synthetic oils featuring chemical compounds that eliminate harmful contaminants. Using synthetic oils guards against buildup, affording you longer mileage in between regular oil changes and ensuring a longer vehicular life. As your #1 provider in Dallas TX, you can rely on our technicians who are factory trained by BMW of North America. Plus, you get peace of mind knowing we offer the best warranties around: 12,000 Mile/12 Month OR Unlimited Mileage/24 Month Warranty. Come to us for 100 percent satisfaction because we pay attention to the little things. It’s no wonder so many people keep coming back to us for our commitment to excellence,competitive prices and friendly staff members. We’ll report back to you our findings so you’re in the loop at all times. We pride ourselves on comprehensive checks of your oil and surrounding systems so that your BMW stays in pristine shape, no matter what make and model you have. In addition to BMW oil changes, you can learn more about our other preventive maintenance services here. 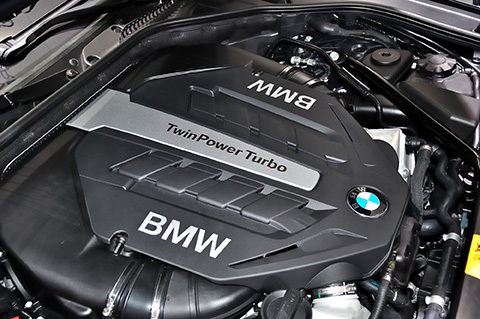 For expert BMW repair and oil changes, count on Bimmers Only in Dallas, TX, for top-notch attention to detail that can’t be beat. To schedule an oil change, call us at 469-585-7718. We have many convenient time slots to choose from throughout the week so you can be done and on your way in no time!